adidas Football has today released the Energy Mode NEMEZIZ 18+ 360 AGILITY, part of the new Energy Mode pack. 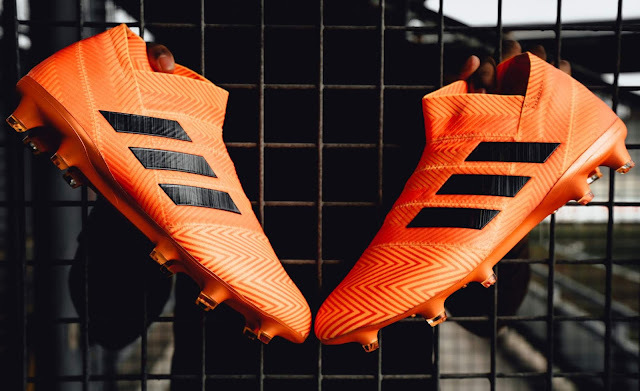 Coming in a new electric orange colourway the boot will be worn on pitch by some of adidas’ biggest players at this summer’s FIFA World Cup. Players who will be premiering the latest NEMEZIZ colourway this summer are Roberto Firmino, Jesse Lingard and Julian Draxler. Energy Mode NEMEZIZ 18+ 360 AGILITY is also available in Cage and Street versions. 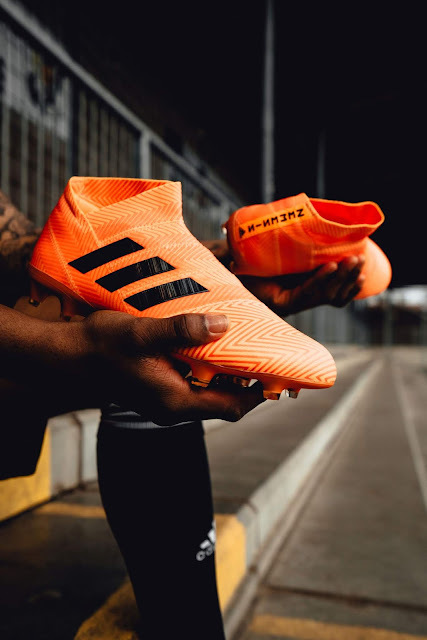 Featuring the same electric orange colouring as the on-pitch boot, both shoes include the same performance technology.